The International Tourism Fair, where more than 150 domestic and foreign exhibitors will participate, will be held from 18th to 20th April in Banja Luka. Tourists and tour operators from Serbia, Montenegro, Croatia, Slovenia, Greece, Turkey, Hungary and other countries will participate on this event. The organizer of the fair is ” RS Consulting and Trade” Banja Luka, which emphasized that tourism as a branch of the economy becomes an important foundation for building new values among people. The fair is a gathering place, exchange of information and offers, and presentation of tourist potentials and products. 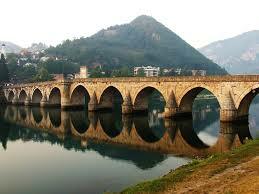 Co-organizer of the Tourism Fair is the City of Banja Luka, and the partner country is Republic of Serbia. During the duration of this event, a Tourism Conference will be held, which will discuss destination and receptive tourism.